The Maricopa County Security Building, once the tallest building in Arizona, has been entirely revitalized. 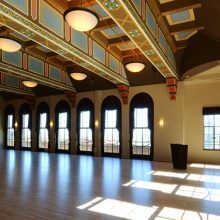 Under the guidance of Foresite Construction, EverGreene restored the decorative paint and plaster in the 8th floor ballroom. Our conservators often use a hybrid of traditional preservation techniques and contemporary restoration strategies to return functionality to a space while also maintaining its historical significance and integrity. Such was the approach implemented in restoring the Security Building in Phoenix. 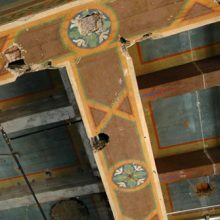 The decorative ceiling in the 8th floor ballroom, the most significant decorative element in the Renaissance Revivalist structure, had succumb to years of water damage and neglect. Conservators conducted a historic finishes investigation to determine the true color of the historic paint. The original decoration was painted in distemper paints, the glue binder of which had deteriorated, leaving the remaining paint in a chalk-like consistency. The ceiling surface was also very dirty; streaked and greyed—blackened in some areas. The surface was cleaned: technicians used a soft brush to gently agitate and remove the accumulated dirt (preventing the loss of original material) and then employed chemical sponges to lift the remaining soil without also picking up historic pigment. 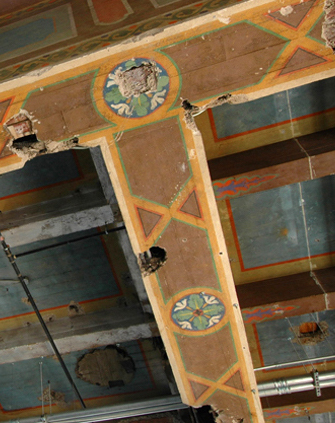 Minor inpainting was implemented in areas of loss and the south bay ceiling was completely conserved. 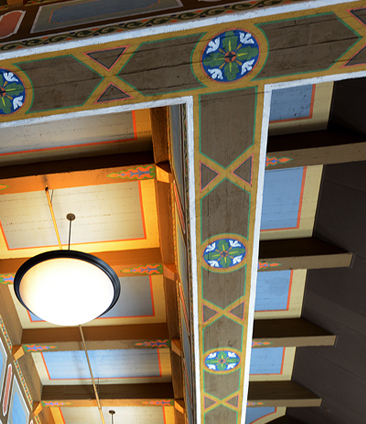 The remaining ceiling bays were entirely repainted to match the preserved original. Plasterers repaired and re-plastered entire sections of the ceiling and beams. 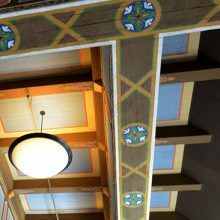 Meticulous attention was paid to matching the various textures of historic surfaces with new casts: the original beams were cast with wooden boards which left both grain patterns and slightly raised edges in the surface. When restoring a space to perfectly match its original form, it is not only the look of the material, but the feel of it that matters to the historic integrity. 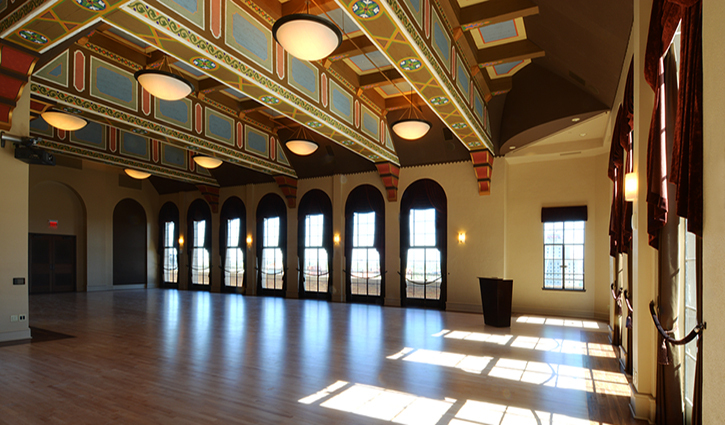 The ballroom of the Maricopa County Security Building is a fully operational event space complete with new plaster and paint treatment that mirrors the original while also exhibiting the genuinely historic finishes, cleaned, preserved and protected from future infrastructural threats.